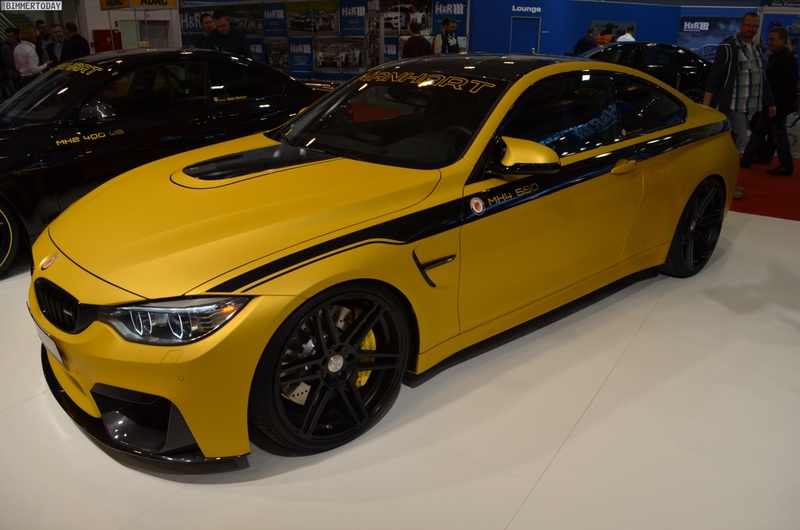 Manhart Racing debuts another tuning project at the 2014 Essen Motor Show. 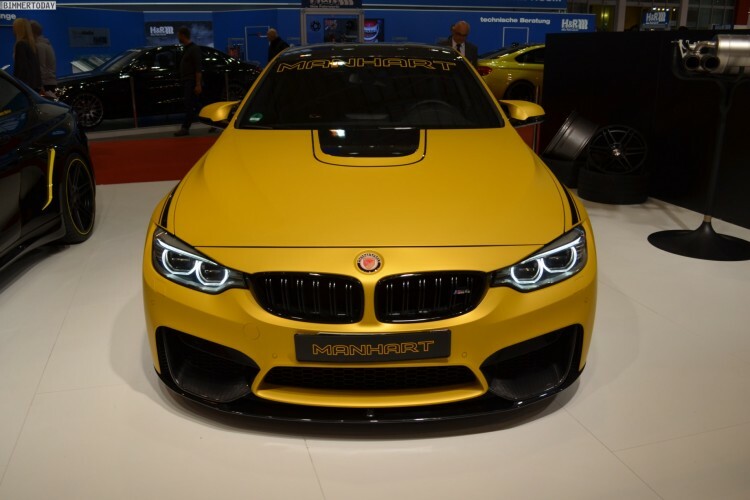 The Manhart MH4 550 is built upon the new BMW M4 Coupe and delivers 550 horsepower from the six-cylinder 3.0 liter engine found in the F80/F82 M3/M4. The torque was also increased to 820 Nm. The maximum speed is raised to 340 km/h. 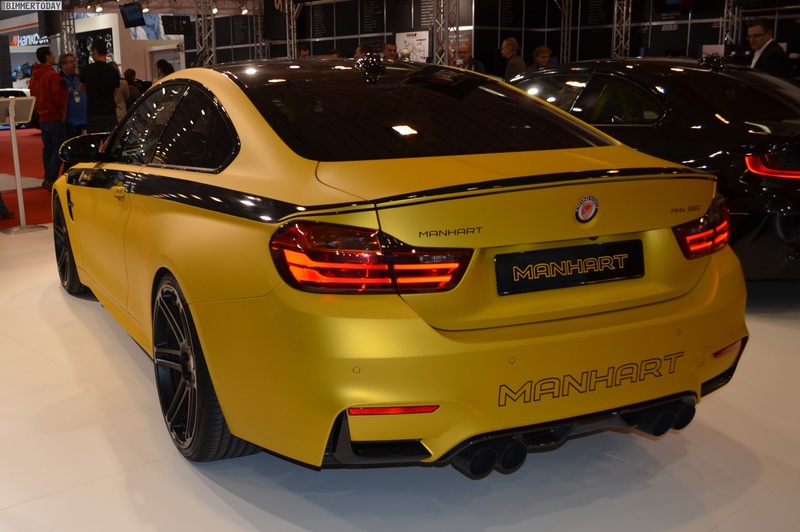 Along with the power upgrade, the Manhart MH4 550 also gets a new body kit with plenty of carbon fiber parts. At the front, the tuning company includes a redesigned bonnet, front spoiler lip and kidneys. On the side, wider side skirts give the car a powerful stance. 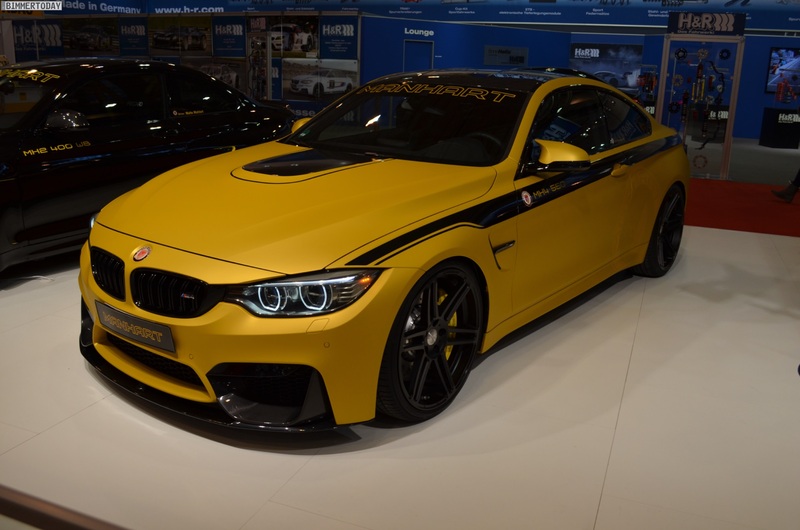 In the back, carbon fiber parts, like the rear diffuser and boot lid spoiler, are rounding up the sporty look of the tuned-up M4. 21-inch alloy wheels – Concave One – were fitted to the front and rear, covered in 295 and 255 mm wide tires. A 3-way adjustable coilover suspension with Clubsport setup and 35 millimeters lowering comes from KW. The braking system received an upgrade also in order to cope with the high power. Akrapovic brings to the table their exciting exhaust system with four tailpipes surrounded by a carbon fiber diffuser.